An architect about whom little is known. 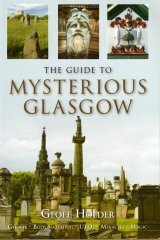 His only recorded work in Glasgow is the large-scale, Egyptian style monument to Andrew Connal Arthur in the Western Necropolis (1917). Carved and constructed by the monumental sculptor Robert Grey, the monument is in red sandstone rather than in the sculptor's more usual granite, and is in the form of a pylon. It is signed by the architect and sculptor, as well as by a number of vandals who have since defaced it with their own monikers.